Given the increased risk for cardiovascular disease (CVD) in this population, the increase in fat mass caused by rheumatoid cachexia is especially concerning. The “obesity paradox” has been observed in patients with RA in terms of risk for death, with increased body weight correlating with a reduced risk for CVD-related and all-cause mortality; however, high BMI has also been linked with CVD risk factors in RA, including diastolic hypertension and hypercholesterolemia.1 In addition, the central obesity that is common in RA is associated with metabolic syndrome, elevated fasting glucose levels, type 2 hypertension, diabetes, and CVD risk in the general population, and with increased arterial stiffening and thickening in patients with RA. “Rheumatoid cachexia has features of both classic cachexia and obesity and might represent the ‘worst of both worlds’ with respect to cardiovascular outcomes, but current data are inconclusive,” noted Summers et al, in a 2010 review on the topic.1 In the 2 studies that have examined links between rheumatoid cachexia and CVD, neither found a connection initially, but when cutoffs for the fat-free mass index were increased, one study showed elevated low-density lipoprotein (LDL) cholesterol and oxidized LDL and reduced levels of atheroprotective immunoglobin M antiphosphorylcholine antibodies.3 However, these associations were not observed when investigators from another study subsequently applied the same cutoffs to their cohort.4 Further investigation is needed in “ to determine a meaningful definition of rheumatoid cachexia, its causes and effects, and the best strategies for managing the condition,” wrote Summer et al.1 Research on this topic is hampered by the lack of established diagnostic criteria. For additional perspectives on this topic, Rheumatology Advisor interviewed Joshua F. Baker, MD, MSCE, assistant professor of rheumatology and epidemiology at the University of Pennsylvania and the Philadelphia VA Medical Center and Vivian P. Bykerk, BSc, MD, FRCPC, rheumatologist and director of the Inflammatory Arthritis Center of Excellence at Hospital for Special Surgery, and associate professor of medicine at Weill Cornell Medical College in New York, New York. Rheumatology Advisor: What are some of the issues pertaining to the diagnosis of rheumatoid cachexia? Dr Baker: There are no standard or accepted ways to define rheumatoid cachexia. Muscle loss can be measured by measuring muscle mass or muscle strength — each method has strengths and limitations. For example, a limitation to simply measuring the weight of muscle is that people can be thin and have low muscle mass, but this is not a problem if the muscles are of high quality and the person is not obese. It is likely that a combination of criteria is needed to define this entity. Whatever criteria are chosen, they will need to be feasible for clinical use. Dr Bykerk: There are no difficulties in diagnosing rheumatoid cachexia in patients who already have a borderline low or low BMI, as they are likely to lose further weight — loss of muscle mass and brown fat, along with an increase in white fat, typically at the belly, which contains inflammatory cells — if they have undergone rheumatoid cachexia. It can be more difficult to identify in patients who have a higher healthy BMI or high BMI. They too will lose muscle mass and have shifts in their fat type to the inflammatory fat type of white adipose tissue. Thus, we can think of rheumatoid cachexia in 2 ways: First, those who were previously at a low or low healthy weight who develop very active rheumatoid disease will, due to very active TNF-driven inflammation, become more underweight, with sarcopenia and fat loss. They will appear very wasted. These are people who have features of overt rheumatoid cachexia. Second, there is hidden rheumatoid cachexia, in which weight may stay the same but muscle and healthy fat are lost and inflammatory fat has increased, but it is not easy to see — the only clue may be increased central obesity. Rheumatology Advisor: How does rheumatoid cachexia affect cardiovascular outcomes, and how might this be addressed clinically? Dr Baker: Cachexia itself and, perhaps more importantly, the processes that lead to cachexia — inflammation and hormonal changes — may lead to poor cardiovascular outcomes, though this has not been well-studied. Weight loss in the elderly and in RA is a poor prognostic sign, and a predictor of early death. Weight loss may simply be a sign of illnesses that are severe, which themselves lead to early mortality and CVD. It may also be a sign that there is uncontrolled inflammation in someone with arthritis. Currently, there is no accepted approach to prevent CVD when someone is suspected of having rheumatoid cachexia. However, most would suggest aggressive management of the disease and comorbid illnesses as much as possible. It may also be appropriate to refer for strengthening and physical therapy to preserve physical function. Dr Bykerk: Rheumatoid cachexia may be associated with high liver enzymes due to steatosis, and lipids will increase. But it is more complex because the lipids may “stick” to vessels and are only revealed as high when their RA is treated. In rheumatoid cachexia, C-reactive protein levels are often very high. There may be an increased risk for more atherosclerosis and myocardial infarction. Thus, all patients with very active RA will have similar shifts in body composition, including reduced muscle mass and increased central obesity associated with metabolic changes, potentially placing them at higher risk for CVD. Their weight may drop only a few pounds, which may not be noticed in very overweight people. However, this is not a healthy situation. If a patient has well-controlled disease and lipids are still high, adding a statin may be effective in reducing this risk. Rheumatology Advisor: How do these changes in body composition affect clinical outcomes, and how might this be addressed? Dr Baker: Changes in body composition notably affect physical functioning, and both excess fat and low muscle contribute to disability. These limitations in physical function are perhaps the most notable and easily observable problem. However, changes in body composition may also affect the risk for diabetes, high blood pressure, CVD, and can be associated with early death. In diabetes, for example, poor muscle quality and excess fat result in an inability to clear sugar from the blood, which can lead to or worsen diabetes. The question of how to address these changes in body composition is much more challenging. In RA, aggressive management of the underlying disease and other conditions, programs to promote intentional weight loss for excess adiposity, and strengthening exercise to improve muscle strength may work to improve function and prevent some of the long-term outcomes. However, programs and resources to promote difficult behavioral changes are limited, and better approaches are needed. Dr Bykerk: People rarely address these changes in body composition, particularly the muscle loss. Thus, even when RA is controlled, patients will find it difficult to restart exercise and lack understanding of how to graduate in a fitness program to counter the shifted balance from muscle to fat. People who are not regularly participating in aerobic activity and working on activities that regain muscle mass may have worse sleep, more pain, and more widespread pain and persistent fatigue. Thus, this is a real opportunity for patients whose disease is coming under control to regain some losses. They ideally should participate in physical rehabilitation, working to increase their strength, stamina, and exercise capacity. By being more active, they can self-manage and potentially reduce risks for common RA-associated comorbid conditions, including osteoporosis and CVD. Moreover, a program to increase conditioning may limit other musculoskeletal problems, such as mechanical back and neck pain and other regional pain syndromes. Even activities requiring constant use of hands might need input from occupational therapists. Summers GD, Metsios GS, Stavropoulos-Kalinoglou A, Kitas GD. Rheumatoid cachexia and cardiovascular disease. Nat Rev Rheumatol. 2010;6(8):445-451. Lemmey AB. Rheumatoid cachexia: the undiagnosed, untreated key to restoring physical function in rheumatoid arthritis patients? Rheumatology. 2016;55(7):1149-1150. Elkan AC, Håkansson N, Frostegård J, Cederholm T, Hafström I. Rheumatoid cachexia is associated with dyslipidemia and low levels of atheroprotective natural antibodies against phosphorylcholine but not with dietary fat in patients with rheumatoid arthritis: a cross-sectional study. Arthritis Res Ther. 2009;11(2):R37. Metsios GS, Stavropoulos-Kalinoglou A, Panoulas VF, et al. 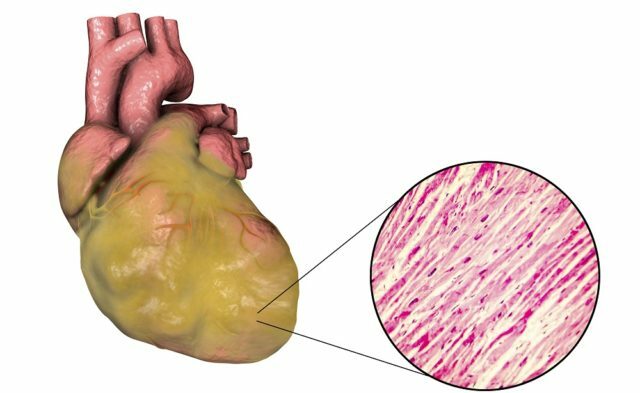 Rheumatoid cachexia and cardiovascular disease. Clin Exp Rheumatol. 2009;27(6)985-988. Lemmey AB, Marcora SM, Chester K, Wilson S, Casanova F, Maddison PJ. Effects of high-intensity resistance training in patients with rheumatoid arthritis: a randomized controlled trial. Arthritis Rheum. 2009;61(12):1726-1734. Metsios GS, Lemmey AB. Exercise as medicine in rheumatoid arthritis: effects on function, body composition and cardiovascular disease risk. J Clin Exer Physiol. 2015;4(1):14-22.